Families are describing children from around the world with exceptional psychic abilities. In the deep region of Himalayas, people are reporting children are using sign languages which are unknown to their families and anyone around. 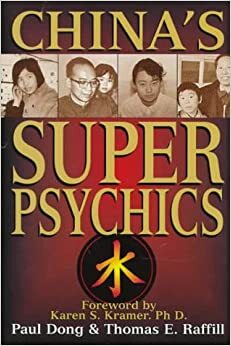 Some in the region of Aksai Chin believe that these children regularly communicate with the extraterrestrials who are only visible to these children and communicate via telepathy. Mexican children also manifest similar behaviour, when many in the area reported for a long time UFO sightings. The New Humans” have begun to emerge, and it is said that over 1000 children are able to ‘see’ with various parts of their bodies. China has a program for investigating children with similar abilities, which is taken very seriously by the Chinese Government in Beijing. This video describes children with exceptional human functioning (EHF) who display similar patterns to Indigo or Starchildren. They display telekinetic abilities as well as other fascinating multi-dimensional skills, such as sensing another’s thoughts (telepathy). You wouldn’t believe how many of these kids are out there, they seem to be at genius level. The starchildren could be an integral part of a wake up call and it may be that through them we are being led to an understanding of this profound connection.